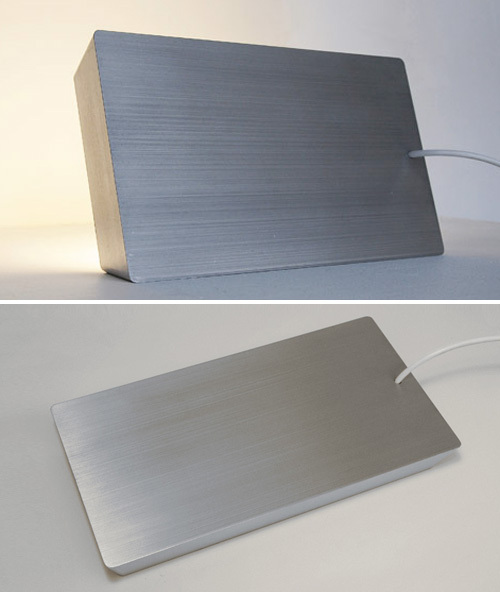 Looking for an aluminum machined lamp to match the MacBook sitting on your desk, but also don’t want to have to meddle with pesky on/off switches? Well you might want to drop HC Wang a line and see if they’ll sell or make you one of their Brick Lamps which can be turned on by simply standing it on any of its side facets. It doesn’t look like it throws a tremendous amount of light, but let’s face it, that’s not why you really want one anyways.